The following questions are intended to answer some of the common questions that new students may have about the Jazz Studies program. Students currently enrolled at SDSU and those who wish further information should contact the School of Music and Dance at (619) 594-6031. Further, all information found below may be found in the Undergraduate Handbook available in the music office. Do I Have To Be A Jazz Major To Play In An Ensemble At SDSU? No. Music majors, non-music majors and students enrolled through the College of Extended Studies may participate in jazz ensembles. Placement in ensembles is by audition only. How Do I Audition For The Jazz Ensembles? Auditions for all jazz performing groups will be held the first three days of classes of each semester. The results from the audition are usually posted by Friday of that week. Sign-up sheets are posted on the Jazz Studies Bulletin Board (located across from M-114) in the first week of classes. What Can I Expect On Auditions For The Jazz Ensembles? Those students interested in playing a jazz chair in a band and/or playing in a jazz combo will go through the sight-reading audition first. After the sight-reading, students interested in improvisation will be asked to play changes at sight and a tune of their choice (preferably a standard from the real book or bring three copies of changes). Each student will be asked to read a variety of jazz literature as well as just playing time. In addition, each rhythm section player will be asked to solo over changes. Drummers should know all styles of drumming including, but not limited to, up-tempo swing, medium groove, funk, shuffle, samba, etc. (some of these styles without the rest of the rhythm section). In addition, drummers may be asked to play four measures of time (in any style), then four measures of solo. Can I Schedule A Time To View The Ensembles? There is no need to formally schedule a time to view ensemble rehearsals. New students are always welcome to attend providing their behavior is not disruptive to the rehearsal. Check the ensembles’ schedule for exact times, but in general the big bands rehearse from 2-5pm on Tuesdays and Thursdays and combos rehearse ranging from 1-5pm on Mondays and Wednesdays. 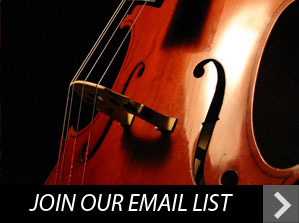 We encourage attendance of Jazs Ensemble #1’s rehearsal or that of Combo I. How Do I Get To The Music Building? Maps and parking information may be found by following this link. Are There Financial Aid Opportunities Available To Incoming Students? 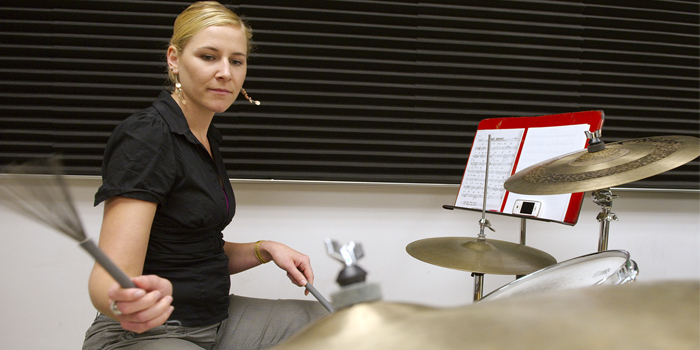 San Diego State University and the School of Music and Dance offer many ways to assist students with their finances while in atendance at the college in the forms of School of Music and Dance Scholarships, Academic Scholarships, Financial Aid, College Work-Study, School of Music and Dance Student Assistants, and Graduate Assistantships and Teaching Assistantships. Please follow this link for more information.